LEAVE GREASE BEHIND WHEN PROTECTING YOUR SKIN. Protect your skin from the sun—without clogging your pores. Oil-free lightweight, non-greasy, non-comedogenic, hypoallergenic and fragrance-free. 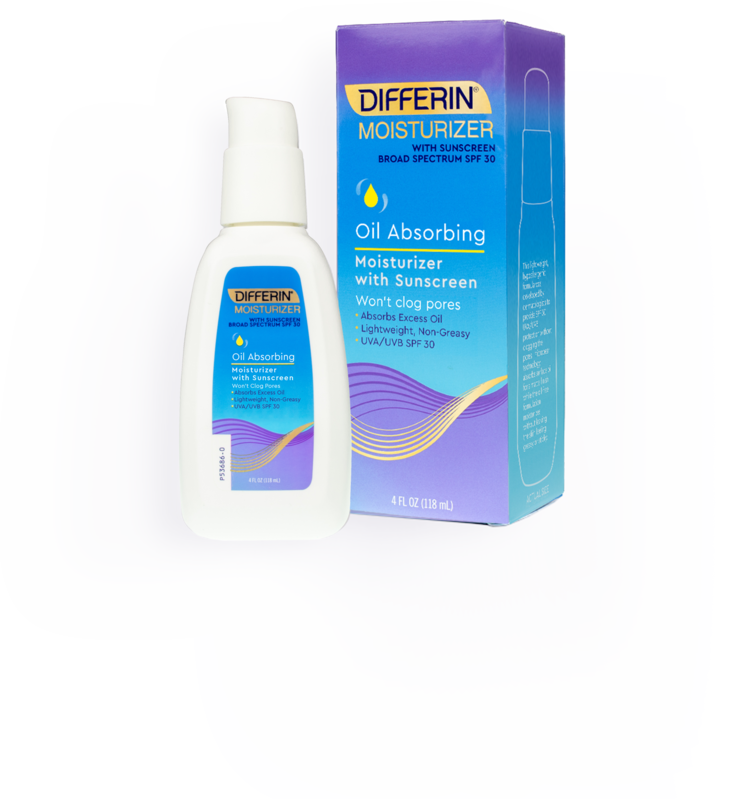 Differin Oil Absorbing Moisturizer with Sunscreen is an integral step to your daily skincare routine. Apply liberally 15 minutes before sun exposure and reapply at least every two hours. Is it necessary to reapply while exposed to the sun? Apply Differin Oil Absorbing Moisturizer with Sunscreen liberally 15 minutes before sun exposure, and use a water-resistant sunscreen if swimming or sweating. While exposed to the sun, reapply at least every two hours.